Comments: 1838 Obverse 1 was mistakenly prepared with small stars punch intended for half dimes. The size difference is obvious and should be evident to collectors. 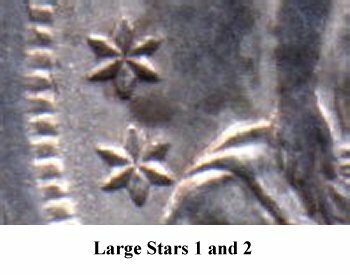 Early die state Small Stars dimes will be found with a faint die crack through Stars 1 - 6. 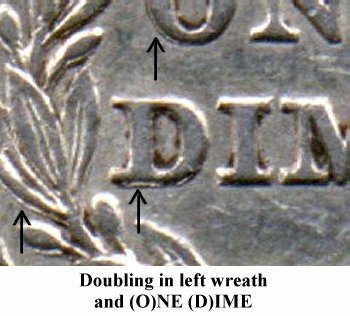 Reverse A shows strong die doubling on (O)NE (D)IME and throughout the lower wreath devices. 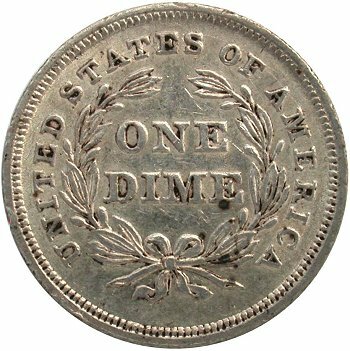 On later die state examples, a reverse die crack is forming on the tops of letters STATE(S OF AME)RICA. 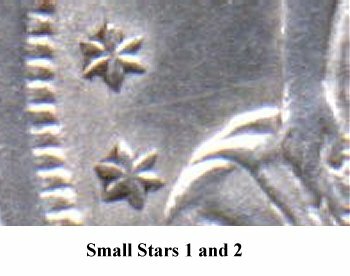 It is apparent that the Small Stars Obverse and Doubled Die Reverse die pair saw considerable usage as Small Stars dimes will be located with varying degrees of die cracks and die erosion. See Variety 101a for one of the finest late die state examples known. 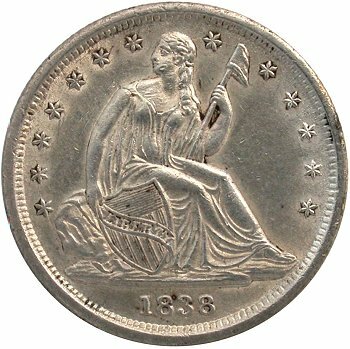 Mintage for 1838 Small Stars dimes is estimated at 30,000 pieces in Breen. 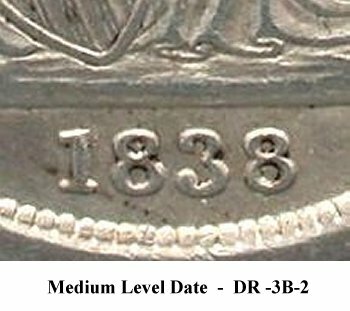 However the frequent availability in the market and range of die states would suggest a higher mintage. The author's estimate would be closer to 200,000 pieces.